Bella Union are truly thrilled to announce the signing of one of our all-time favourite bands The Flaming Lips. 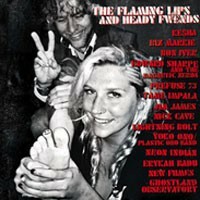 The Flaming Lips' first release for the label will be a project that’s shaping up to be one of the most talked-about releases of the year: "The Flaming Lips And Heady Fwneds". 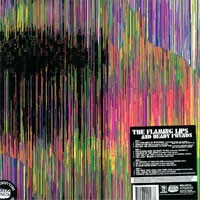 In between one-off shows scattered around the world over the past several months The Flaming Lips still found time to record a series of unique and experimental sessions for an album featuring a diverse cross-section of heavy friends from every corner of the musical cosmos. 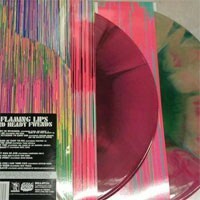 One of the most anticipated albums of the year, "The Flaming Lips And Heady Fwneds" sold out instantly at retail outlets around the world when it was released in limited edition vinyl in honour of Record Store Day this past April 21st, though unfortunately the record was not available in the UK. Now, due to overwhelming demand, Bella Union Records have made the album available on physical CD and vinyl! "The Flaming Lips And Heady Fwneds" just may be the Lips' most adventurous recorded experience to date. The album see the Lips embracing vocal and musical assistance from such disparate playmates as Yoko Ono, Nick Cave, Erykah Badu, Bon Iver, Ke$ha and many more.